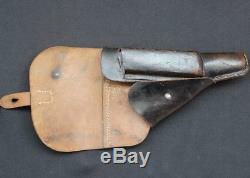 WW2 German P38 holster in very good condition, nice markings. GI that captured it added holes for leg tie down on the back. What you see is what you get. Have described everything to the best of my ability and is true to my knowledge. 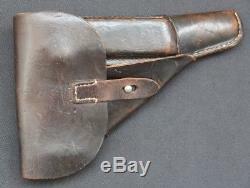 The item "ORIGINAL WWII WW2 GERMAN P38 PISTOL HOLSTER jwa 44" is in sale since Saturday, November 24, 2018. 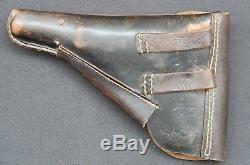 This item is in the category "Collectibles\Militaria\WW II (1939-45)\Original Period Items\Germany\Personal, Field Gear". 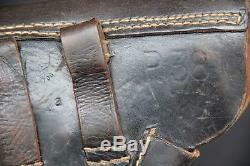 The seller is "tommy_gun" and is located in South Hadley, Massachusetts. This item can be shipped worldwide.